This time of year can be stressful for kids and parents. The excitement of the season, too much candy, not enough sleep, and over scheduling can all contribute to grumpy kids and grumpy parents. Your daycare center has 3 tips for helping your have happy kids during the holidays! 1. Make sure your little ones’ tummies are full of good food before they will be around a lot of candy. Even if they do eat the fun stuff, at least they will already have the nutrition they need to help balance things out. If a full meal isn’t possible before an event, make sure to bring healthy, filling snacks such as protein bars or nuts or cheese for your kids to eat on the way. 2. Don’t over schedule your kids. They need down time just like we do. Help them get to bed on time and keep them to their regular nap schedule as much as possible. 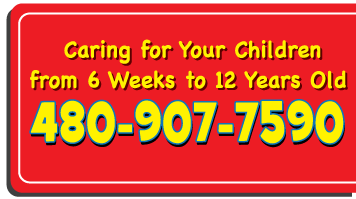 Make sure we, at the daycare center, know if there is a special event that your child needs to be well rested for. Find a babysitter if your child isn’t up to the party. There are several on call nanny services with excellent reputations for those last minute situations. 3. Be patient! If lack of sleep and too much sugar are contributing to a grumpy kid, recognize that. Be patient with them. If you need to, take them home earlier than planned. But remember that making happy memories this holiday season is what it’s all about; be kind and gentle with your little ones. Following these three tips will help everyone enjoy the season more fully. We are grateful you chose us as the best daycare center for your little ones and we encourage you to watch for more information on our upcoming holiday events. We are happy to be part of your holidays this year and every year!